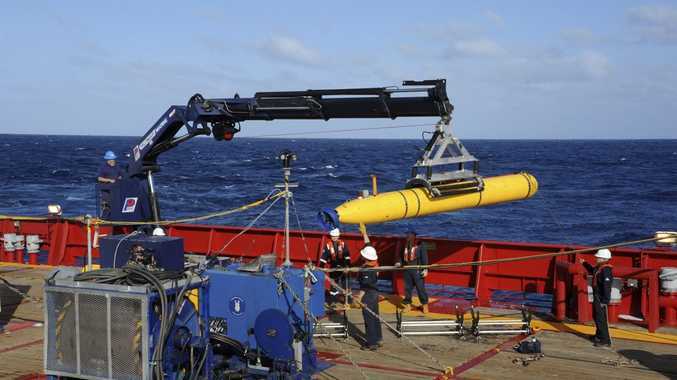 THE search area for the missing Malaysian jet has proved too deep for a robotic submarine which was hauled back to the surface of the Indian Ocean less than half way through its first seabed hunt for wreckage and the all-important black boxes, authorities said today. Search crews sent the Bluefin 21 deep into the Indian Ocean to begin scouring the seabed for the missing Malaysia Airlines Boeing 777 after failing for six days to detect any signals believed to be from its black boxes. But after only six hours of its planned 16-hour mission on the sea bed, the autonomous underwater vehicle exceeded its maximum depth limit of 4,500 metres and its built-in safety feature returned it to the surface, the search coordination centre said in a statement today.